What is an electron beam? The free electrons in vacuum can be accelerated and their orbits controlled by electric and magnetic fields. In this way we can form narrow beams of electrons carrying high kinetic energy, which at collisions with atoms in solids transform their kinetic energy into heat. Thanks to some specific conditions, this way of heating gives us exceptional possibilities. The depth of penetration of electrons into solids is in the order of hundredths of a millimeter. The volume density of power in the small volume in which the kinetic energy of electrons is transformed into heat (consecutively, the temperature in this volume increases extremely rapidly). What are the resulting effects of the electron beam? Resulting effect of the electron beam under such circumstances depends on conditions; -first of all on physical properties of the material. Any material in a very short time can be melted (or even evaporated). What is a vacuum furnace? Vacuum furnaces are used in many applications in all industries. A vacuum is one of the methods to protect heated steel and metal parts from the negative influence of an air atmosphere. A vacuum furnace is normally an electrically heated furnace in which a vacuum is maintained during the process. Most vacuum furnaces are heated by electric resistance elements made from graphite, ceramics or metals. 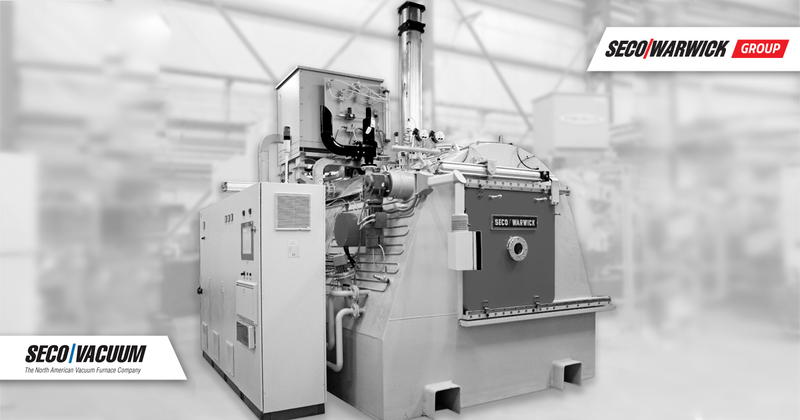 SECO/WARWICK can supply gas heated vacuum furnaces. A gas heated vacuum furnace is not direct heated by open burners, but indirectly as a vacuum retort furnace or a vacuum furnace with vacuum-tight radiation burner tubes. The vacuum in the furnace is maintained by vacuum pumps. Depending on the application, a single or combination of mechanical and booster, diffusion and turbo-molecular pumps are used. What is a radiation tube? the tube integrated with electrical heating element protects the heating element against damaging influence of furnace technological atmosphere. What is an application for a roller hearth furnace? Usually, the problem of air being drawn into a furnace is due to the deterioration of radiant tube seals, bearings, door seals, cracked welds, or leaking cooling chambers. One means of determining this in atmosphere furnaces is to pressurize the furnace as tightly as possible and check all bearings, radiant tube ports, door seals, etc., with soap bubbles. One thing that people find hard to imagine is that even though a furnace is operating under pressure, it can still draw air into the chamber. One thing you can be certain of is when a furnace is under pressure and atmosphere is leaking out, this means that air can leak in. Some of the causes of atmospheres or leaks can be as follows: Bearing not properly greased or packing around access plugs or radiant tube plugs or fan plugs has hardened and deteriorated so as not to provide a seal. Another source of air entrance into a furnace is through a cracked radiant tube. When a process problem does occur and it has been determined that the atmosphere gas going to the furnace is good, all the above points should be checked and corrected to cure the problem. What is the nitriding potential? where „pNH3” and “pH2” are the partial pressures of the ammonia and hydrogen gases respectively. This potential defines the possibility of creating the nitrogen layers of determined structure. Generally – the higher potential is the resulting phases richer in nitrogen are. The phase structure of nitrogen layers as a function of potential and temperature is presented in Lehrer’s chart. Spray fluxers The spray method is used to apply chemical suspensions mixed with water. This is the most widespread method and most often used. Scale – a thick layer of metal oxides on the surface of heated parts, formed in an oxidizing atmosphere at high temperature. What is the dew point ? What is a furnace chain and a pair of furnace chains? Furnace chains are high temperature resistant chains to transport a load, a fixture, a basket or a part in a furnace. Often these furnace chains are used in batch type furnaces (BT), in-out-furnaces (IO), batch integral quench furnaces (BIQ), Through-Quench furnaces (TQ), Return Through Quench furnaces (RTQ), casemaster furnaces (CM), Sealed Quench Batch furnace (SQ B and SQ ) where a pair of endless furnace chains right and left with dogs take a load from position A to position B in the furnace. Often the material mix of the chain is important, as a part of the chain remains in the hot furnace area, while the other one remains in the cold part. Naturally the cold part should do the job and pull the load from one to the other position. 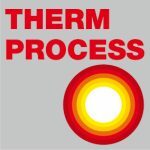 What are heat treatment problems?